How to Organize a Perfectly Infused Oriental Themed Wedding? Have you ever had a soft spot for the east? Got a penchant for the orient? 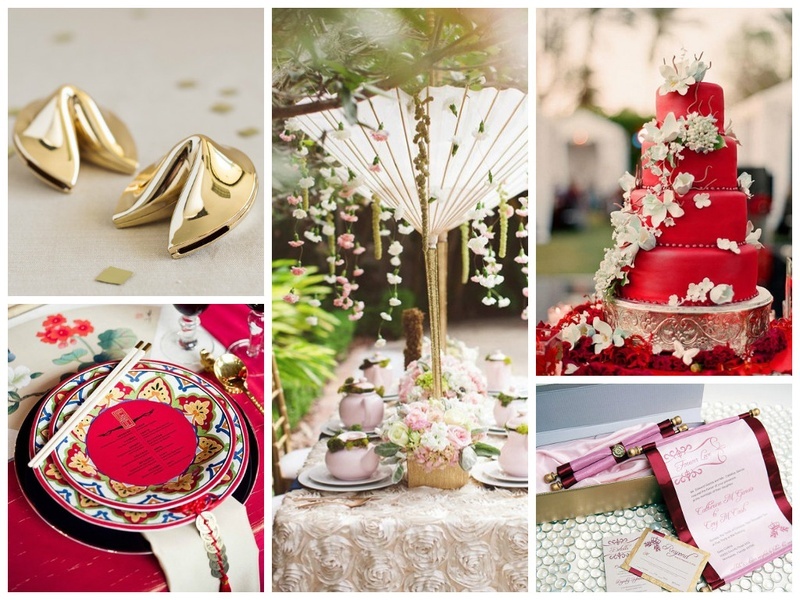 If yes, then here are a few oriental wedding theme ideas you must try for your big day celebration. Well, even if you don’t, you’d want to, after looking at what we have in store for you today because they are super pretty! Not to mention, they give your standard wedding an edge that your guests will LOVE. And maybe envy you for, a little. It’s hard to confine Asian themed weddings to one specific slot, but let’s just go with the two most popular ones, that are Chinese and Japanese. Chinese and Japanese traditions are quite different, so make sure you pick one and stick to it. Don’t end up fusing the two! If you’re opting for a Chinese themed wedding using a bold, stand-out red really works quite well. You could use a colour palette of red and gold, incorporating traditional motifs to lend it a classic Chinese look. Laser cut wedding invitation brilliantly lift up these designs. If you’re leaning more towards the Japanese themed wedding, cherry blossoms are a good idea. You can use them in multiple ways, from cherry blossom graphics, to laser cutting to even attaching tactile flowers on the card. As for the colour palette, lighter pleasant colours will justify the theme. Okay, so this shouldn’t be too much of a hassle. Now that you’ve gotten a gist of what an Oriental themed wedding looks like, all you need to do is find a good bakery, give them your idea and wait patiently till the masterpiece turns up on your big day. Easy, right? These pictures should help make it even easier. Draw inspiration from or even get a replica of one of these! Oh, and we probably have a list of the best bakeries in your city so feel free to contact us. Oriental themed wedding centrepieces could really add that extra touch that could make the decoration look all the more pleasing. Match this with your decor ideas to get that perfect aesthetic appearance. For example, you could use those paper lanterns in creative, unusual ways. Another simple yet great idea would be to source some cherry blossoms and have a good florist arrange them decoratively. If you can’t find them, any other similar looking flowers should fit the bill just fine. If you’re looking for flower decorators in Mumbai: Check this out! Again, you’ll do well to match this with your Oriental decor ideas. Artfully placed chopsticks, fortune cookies or anything from the orient could be used. You could have theme based napkins or Chinese fans to add to the decor as well. Check out the pictures below for a detailed idea. So as we just said, there are two ways you could go about this. Pick one, stick to the guidelines we mentioned above. Once you’re set with that, there are so many other things you could do to add that flair to your wedding venue. For example, Chinese/Japanese parasols are a huge hit in wedding decoration, placing them aesthetically would do wonders without much effort. Oh, and as you probably know, the Japanese are big on origami. So incorporating origami flowers, decorations, lanterns, etc. will work beautifully. Also, highly D.I.Y.! Okay, honestly, a little hard work too. But hey, it’s your wedding. Of course you’d want to go all out! Photo booths are a lot of fun and also crucial to have. You don’t want all those special memories to be recorded poorly. You could use pretty parasols along with various flowers for a pleasantly appealing ambience. You could also go all out and have a decorator do up your photo booth with all the little details. But then again, origami! Super-economic as well. Save money now, you’ll probably want to spend it on your honeymoon. Ooh, there are a ton of things you could do with this. You could give out Chinese fortune cookies, or scented candles with specific oriental scents. In addition to this, chopsticks, chocolates, origami gift boxes are all a good idea. Chinese tarot cards could be a very interesting give away that your guests would love as well. 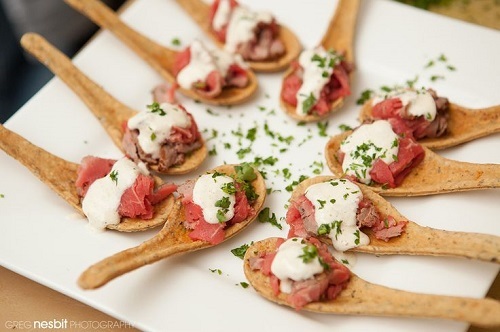 Food and drinks is something all your guests are going to look forward to. You could funk up the bar counter with some drinks like green tea martinis. For beer drinkers, you could always have ice-cold Kirins and Sapporos. Make sure you keep something like mango soda for the non-drinkers. When it comes to food, you could have some appetizers served up in oriental spoons. Add some dishes like dim sums, tempuras and noodles to complete it. If you want to go all out, hire a sushi chef! For dessert, serving sweets on edible spoons should be ideal. This is just about the most important thing on your wedding day, isn’t it? You just cannot afford to go wrong. Wedding attires from the East are different and elegant and incorporating those elements in your special outfit is definitely a plus. Also, contemporizing the oriental silhouettes and styles along with those pretty-as-hell floral motifs will certainly make you look ‘Woo’-worthy. Lol. Get it? Ok, sorry. Contemporized Lehengas inspired by the japanese prints and kimono silhouettes.